William Salters began acquiring property south of the Black River (1, p. 5). It is believed William Salters built the house shortly before his death in 1833 (1, p. 5). 1833  William's wife Sarah McKnight Salters took-over the plantation upon her husband's death. She and son John lived at and managed the plantation (1, p. 5, 9). Circa 1850  John expanded the house (1, p. 6). 1854  Sarah died and John became owner (1, p. 9). Circa 1880  Thomas E. Salters Sr had taken over the majority of the management duites of the plantation as his father John was aging (1, p. 11). 1898  John passed away leaving the plantation to his son Thomas Sr (1, p. 8, 11). 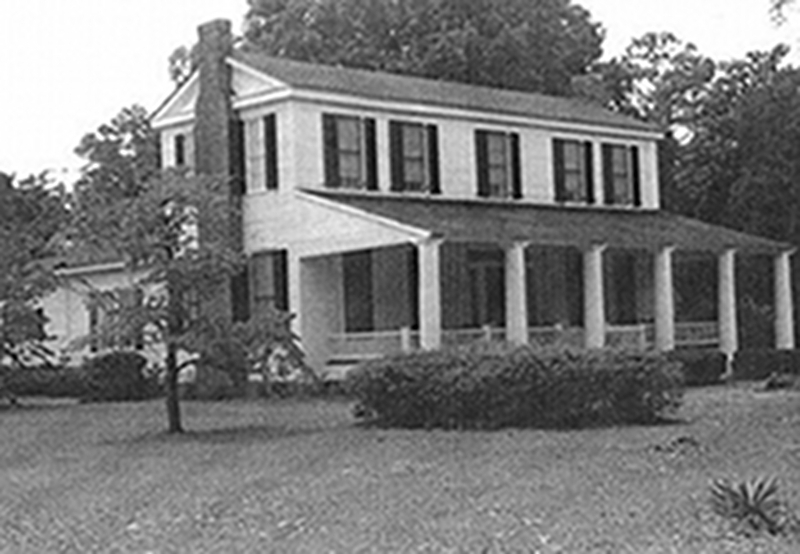 1910  Thomas E. Salters Jr inherited the plantation upon his father's death in this year (1, p. 11). 1965  Thomas Jr passed away leaving Salters Plantation to his daughter Sarah Salters Odom (1, p. 11). 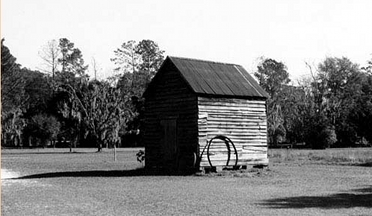 1806  William acquired about 1,150 acres from his neighbors Samuel, Elias, William and Margaret Frierson (1, p. 8). 1818  William purchased 1,234 acres that adjoined his property (1, p. 8). 1821  William purchased another 913 acres (1, p. 8). 1833  William added an additional 1,200 acres to his plantation (1, p. 8). Primary crop  Cotton, rice, corn, sweet potatoes, and live stock historically. Tobacco beginning in the 1920s and more recently timber (1, p. 8-11). The house is of Greek Revival style. The rear wing was added in 1959. There are also six outbuildings with varying construction dates, on the property (1, p. 2, 5).